This website will be the home for everything about Saltash. 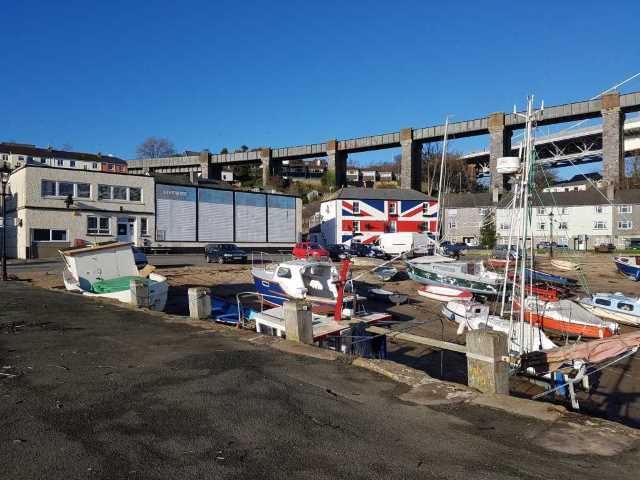 Here, you will find events and links to Saltash businesses and leisure groups. If you would like to add any events to the site, please contact enquiries@saltash.website stating the nature of the event, any links (i.e. Facebook groups to link to for more details) and start and end dates. Please also state whether it is a repeating event, i.e. every week. If you are also interested in having your own web site and own name against the saltash.website domain, i.e. http://www.mysite.saltash.website, please contact us. Walk led by Paul Mallett. Come and listen to the amazing dawn chorus and discover the many different early morning birds on the reserve. Sorry no dogs. Minors must be accompanied by an adult. Please wear suitable clothing/footwear and bring cameras and binoculars. Free for members of Friends Group/CWT £2 for non-members. Booking essential - phone Mary on 01752 843852. Meet at the Cecil Arms by St. Stephens Church PL12 4AR SX417 583. Sorry no dogs. Please wear suitable clothing and footwear and bring binoculars and cameras. Free to members of the Friends Group/CWT £2.00 for non-members. Minors must be accompanied by an adult. BUTTERFLIES AND MOTHS with Gary Lewis. Wild Flowers with Ian Bennallick. Meet at the Cecil Arms by St. Stephen's Church. Meet at the Cecil Arms by St. Stephens Church PL12 4AR. Learn about the wide variety of wild flowers on the reserve. Please wear suitable clothing and footwear and bring binoculars and cameras. Free for members of the Friends Group and CWT £2 for non-members. Minors must be accompanied by an adult. Geology Walk with Gus Horsley. Meet at the Cecil Arms by St. Stephens Church PL12 4AR. Please wear suitable clothing and footwear and bring binoculars and cameras. Free for members of the Friends Group and CWT £2 for non-members. Minors must be accompanied by an adult. An interesting foraging walk with free handouts. Meet at the Cecil Arms by St. Stephens Church PL12 4AR SX417 583. Sorry no dogs. Please wear suitable clothing and footwear and bring binoculars and cameras. Free to members of the Friends Group/CWT £2.00 for non-members. Minors must be accompanied by an adult.